I read a couple of post where you mention photomart.co.uk paper and wanted to buy some rolls from them. I don't know what to pick, they have pearl, satin, glossy, lustre... and don't know which I should pick. I've used a lot of ilford smooth pearl for now it's been my most used paper. Could you help and describe them for me? I was hoping you could help an old photographer with his new Epson 7890 printer. 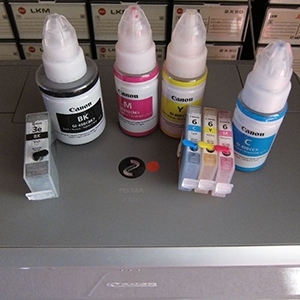 I am looking for replacement pigment inks in sizes from 350ml to 700ml. I would like to use reliable, refillable cartridges. I have looked at the Marrutt and other and ConeColor Pro inksets.